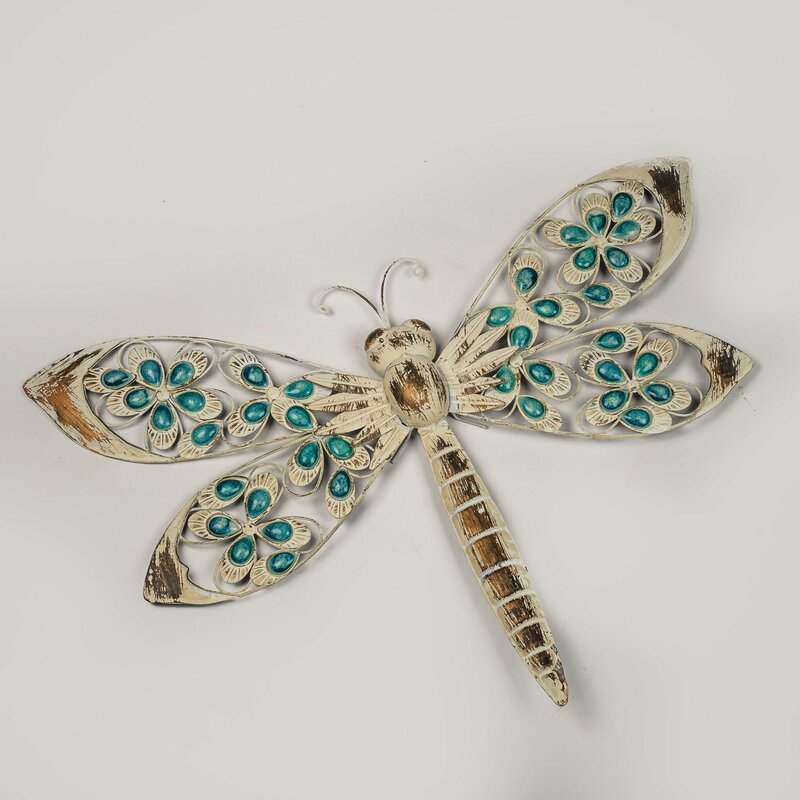 The White Dragonfly has a rustic, weathered look on its wings and body. There are blue gems on the wings, which form a flower shape. There is a small ring on the rear of the body for hanging on a hook.